I’m approaching six months since the launch of The River and the Ravages and it’s been an unbelievably wonderful journey. The Goodreads community is a mighty impressive one. It’s a space I always look forward to visiting each day. People who love books have always known it – we’ve got something special in our lives. That ability to be transported to another time and place, experience emotions – pain, hope, love, joy, grief, ecstasy, the whole shebang – through different people in the comfort of our chair is something deeply wonderful. The next six months look set to go to a whole new level. 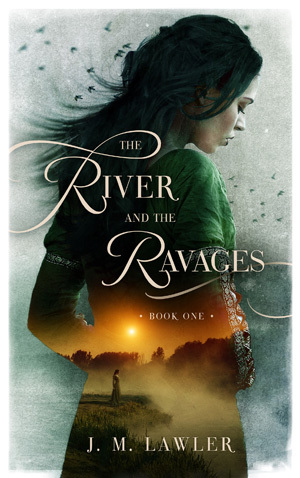 One of the main things that has got me super excited at the moment is the development of a stunning new cover for The River and the Ravages. The new edition will be launched in January 2018 so watch this space. For those of you who love audiobooks, an audiobook version of The River and the Ravages is busily in production. Narrator extraordinaire Kate Littrell has been working like a champion transforming the story into a wonderful audiobook. This is another sweet treat to expect early 2018. And finally, but probably most importantly, the follow-up to The River and the Ravages (only known as book two at this stage) is charging along. The story of Aaliya enters a whole new, unexpected realm. My mind is running a hundred miles an hour, hands struggling to keep up getting her story down. An option to pre-order book two will be launched soon, so again, watch this space. It can be such an incredibly busy time of year for so many of us. I can’t ease your Christmas chaos, but I will provide a little reminder to make sure to build some joy into your day everyday. Experience nature. Hug loved ones. Dance naked. Sing loudly. And of course, curl up in a comfy spot with a great book. Have a wonderful rest of the year, and best wishes for a fabulous Christmas.